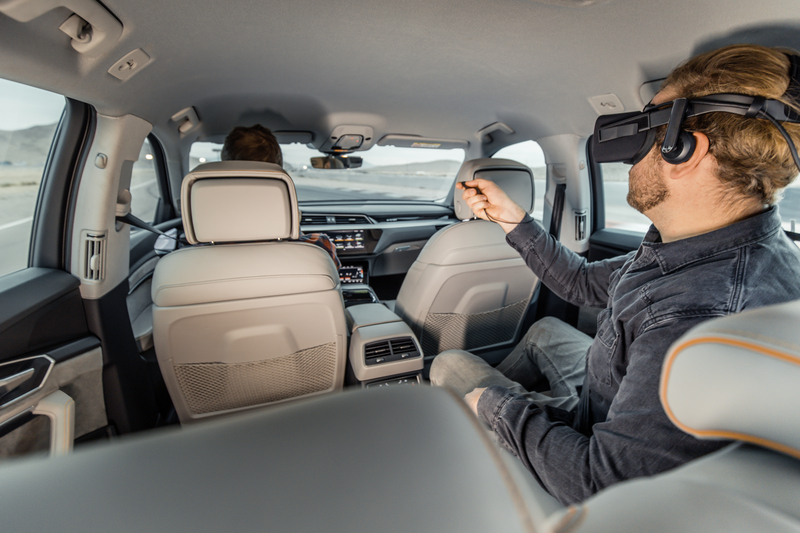 Audi has spun out a new company called Holoride that aims to bring a VR experience to the backseat of every car, no matter if it’s a Ford, Mercedes or Chrysler Pacifica minivan. Holoride was announced Monday at CES 2019 in Las Vegas. While Holoride says it’s an independent company, the roots of this startup are all Audi. The automaker holds a minority interest through subsidiary Audi Electronics Venture, which developed the technology. Audi will license the technology to Holoride and the startup will use an open platform to allow any automaker as well as content developers to create whatever reality formats they desire. Nils Wollny, head of digital business at Audi co-founded Holoride with Marcus Kühne, who was project lead of Audi’s VR experience and Daniel Profendiner, a software engineer at the company. Wollny is Holoride’s CEO. Holoride’s founding story didn’t have one single starting point. Profendiner and Kühne didn’t know each other. But both were working on the same patent application to use VR as a sales application and for simulation purposes. “We came to the same idea because we wrote the same patent,” Profendiner said, who then built a prototype to show Kühne. The pair introduced the idea to Wollny, who recognized a much bigger opportunity, the two said. Holoride hopes to have a software development kit out by the end of the year that it can share to content and game developers. The SDK will serve as the interface to the vehicle data and transfer those into virtual realities. This allows the developer to create movies and games that will synchronize with the user’s motion as they sit in the backseat of a vehicle. Conventional movies, series or presentations can also be viewed with a significantly reduced chance of motion sickness, according to Audi. Holoride plans to launch the VR entertainment on the market within the next three years using standard VR glasses for backseat passengers. The company sees other opportunities to expand and incorporate the surrounding environment, like a traffic jam, becoming a part of the experience. For example, stopping at traffic lights could introduce unexpected obstacles to a game or interrupt a learning program with a quick quiz, the company said. New VR game Stay Silent is recruiting players for test! Come join us!